Foresight goes along way: is Puma positioned to win at South Africa 2010? This summers World Cup is perilously close. The big sporting goods manufacturers have unveiled their strategies for the competition and last minute injuries are hampering on pitch preparation on a daily basis. 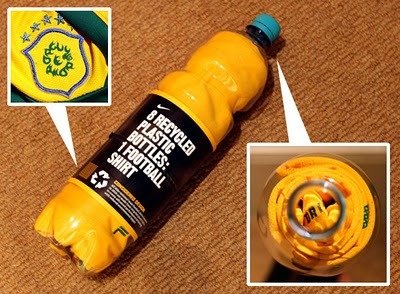 Team shirts have been launched; some made out of recycled plastic bottles others made the conventional way. Player, team and brand led campaigns are under way, some making more noise than the others. Nike has again focused their strategy around the individual with a mind blowing ‘write the future’ ad, which is seemingly everywhere. It’s very much focused on how one man can become hero one minute, villain the next. Adidas being adidas prefer to focus on the value of the team, queue ‘every team needs a spark’ and the history of the shirt to understand where they are coming from. Throw in for good measure a reminder that football is not just about performance and seeps into other areas of popular culture and we see Daft Punk and Noel Gallagher hanging out with David Beckham and various other international travelers in the Star Wars bar. The above-mentioned brands are the obvious candidates for major activity around SA2010, adidas being official sponsors and Nike being the omnipresent competitor. What though of Puma? They laid their cards out for this tournament a long time ago (almost 10 years previous), in fact many where questioning the logic behind such a decision. The tournament in South Africa is seen as the defining moment in what they have intended all along. Puma’s alignment with Africa has long been questioned, almost primarily and naively for its focus too much on a single continent, a continent that has always flattered to deceive. Certainly the rationale behind this decision was not to sell replica shirts in Africa; instead it was a much deeper long-term approach to building a clear positioning for Puma and Puma football. What they have done is very smart; quietly and confidently planting the foundations of a strategy which is only now becoming obvious to the outside world. Approaching the tournament they are ideally placed to steal the prize, not by ambushing the marketing side (appearing as if they are an official sponsor) even though they will, but by being much smarter than that. The whole brand has been adapted and created to feel like it comes from Africa, the communications, the promotional campaigns, the product and the values and energy that it takes from the continent. It has smartly aligned the continents love and passion for football and built a football offer around this, framing it with the simple message ‘love = football’. The smartest thing they have done leading upto the last few months is to actually change their brand mark, replacing the iconic Puma stripe with a cut out of the African continent. This is smart, consumers and web 2.0 brands are used to this but for a more traditional brand to change a sacred mark is something else – imagine Apple taking away the apple or Coca-Cola the ribbons. Without using dirty tactics, they are in a position where they could be perceived as ‘the’ sporting brand of the South African world cup. Additionally not being officially aligned with an organisation like FIFA means the brand can stay flexible and cool enough to do things radically different. 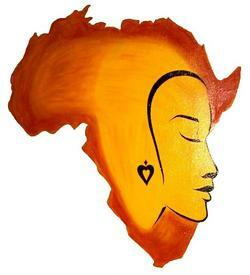 Synonymous with what is going on in Africa, in tune with customers and timed to perfection. As the intrigue builds in African football; with the run-up to this tournament and the performance of its players in major European leagues, so to does Pumas strength and stock rise in the football category. Could it be finally time for others to step aside and let Puma take the top prize? Also, as an aside, if adidas want to send me one, I would be happy to give it a whirl! A very nice article from 3 years ago. This talks about how the NBA gave into player power and reverted back to the old style leather ball from a newly introduced composite one. Now, I am not saying this is what FIFA, adidas or anyone else should do. Innovation is progress and some of footballs innovation in recent years is really rather impressive. I am merely highlighting what others have done when the users of the ball kick up a fuss. Make your own minds up…only not just yet. Is the ball really that bad? It seems like a day doesn’t go by without someone throwing criticism the way of the new adidas world cup ball. What is interesting this time is it’s not just the goalkeepers who are voicing their concerns. Forwards are complaining of their inability to strike the ball on target, midfielders about their inability to pick out a man and defenders about how the ball changes in midair when they rise to meet a header. One thing that also got me thinking was they have been playing with the ball in the German league and in the MLS and seemingly know one has been complaining in these leagues about he balls ‘beach ball’ like characteristics. It’s the altitude that is causing the problems, in fact that would make any ball do the same. Well, ok, understood, but is this ball designed for the world cup or not? If it is then why was this not tested at altitude and with the very same players who are going to ping it all over the park? At least then adidas would be able to turn round and say that a multitude of players have been testing this thing for years and nothing was raised in testing. Instead all they seem to have is some pretty smart sport and physics specialists telling us this thing wasn’t a problem when we tested it in our smart computer controlled testing centre. I’m not sure what the answer is or even how good or bad the ball is but I think some good PR and non machine field testing would have given adidas some fodder at this stage. Unfortunately we will have to wait until the tournament starts until we really find out. I hope those bottles are in turn recyclable! Is ‘Uncertainty’ holding back African football? One thing that can’t be disputed is that African football is visually a very exciting footballing feast, both on the terraces and on the field of play. Unfortunately, what seems to follow African football at every turn stops it becoming the force that it could well become. An unnerving element of ‘uncertainty’ flows through African football and this level of uncertainty is not just limited to the performance of its players on the field but also the events off it. We don’t need a more compelling example than the unfortunate events involving the Toga team bus in Angola at the start of the ACN (African Cup of Nations) or the erratic quality of the goalkeeping on the field! But what will it do to damage the perceptions of African football and its hosting of this summers World Cup? Well you could say that African football was in the midst of an upwards turn. Pele famously predicted by the turn of the millennium that an African nation would be champions of the world – that hasn’t happened yet but every major league is now littered with top African talent and now the biggest sporting event in the world is coming to town. Also Puma have recognised the power of Africa, the energy, colour and passion that goes with the football and aligned its football brand against the whole continent. Many positives exist in the region and associations are extremely powerful, yet people still ask questions and there are some underlying uncertainties which so far have held back SA2010 from having the buzz and excitement at this stage which previous tournaments enjoyed. The events that occurred in Angola; the incident with the team bus and the subsequent banning of Togo from the next 2 tournaments has increased this feeling. Lingering questions remain and feel unanswered; the safety and security, the logistics and organisation of the tournament, the reaction of the communities to incoming spectators are all elements that add to the list of unknowns. Hopefully the World Cup will be the start of a prosperous and exciting period that firmly puts these questions to bed. The pressure is most certainly on for SA2010, I hope they can handle it, and finally show to the world that there is nothing to be uncertain about anymore.